One of the biggest video game controversies of the year so far is still raging, it seems. It involves upcoming post-apocalyptic game Metro Exodus, a sequel to the 2013 hit Metro Last Light. You see, many were shocked when it was announced that the eagerly anticipated Metro Exodus game would be an Epic Games Store exclusive, as was reported on IGN earlier this month. This is because the game had been available for pre-order for months on Steam before this announcement, leaving many who were planning to get the game on Valve’s store feeling gutted. Actually, some users have resorted to review bombing in order to express their dissatisfaction with this decision, posting lots of bad reviews of both Metro Last Light and the earlier Metro 2033, using these to protest publisher Deep Silver and parent company Koch Media’s decision not to launch the game on Steam. Valve, the company behind Steam, was also disheartened by the decision, saying that this was “unfair to Steam costumers, especially after a long pre-sale period”, something that’s not so hard to agree with. 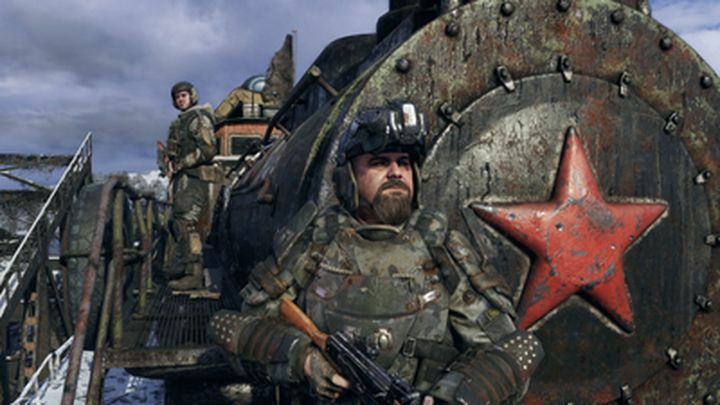 Adding fuel to the fire, a member of 4A Games (the people behind Metro Exodus) recently took to a Russian forum to complain against some fans who were suggesting PC players steal Metro Exodus, also writing that if PC players decided to boycott Metro Exodus as a result of it launching only on the Epic Games Store it was at their own peril, suggesting no more Metro games would be released on PC as a result. This definitely must not have gone down well with Metro fans, and publisher Deep Silver took to Twitter to clarify the situation and apologize for the 4A Games’ developer comments, while also stating that the decision to release Metro Exodus on the Epic Games Store alone was Deep Silver’s and Koch Media’s alone. “The recent comments made by a member of the 4A Games development team do not reflect Deep Silver’s or 4A Games’ view on the future of the franchise”, said the publisher. “We have every intention of continuing this franchise, and a PC version will always be at the heart of our plans”, added Deep Silver. It does makes sense somewhat, though, that Deep Silver has abandoned Steam for the Epic Games Store – Epic is offering publishers a larger cut of the profits than Steam does. And for a major release like Metro Exodus, which is bound to sell millions of copies, this does matter quite a bit. Also, there’s a silver lining for those who were looking forward to buying the game on Steam, and are disgruntled by Deep Silver’s decision to move Metro Exodus to Epic’s store. This is the fact that Metro Exodus is a timed exclusive, meaning it will almost certainly be releasing on Steam at some point in the future. And the fact that Epic gives developers a larger cut of the profits means Metro Exodus will cost less on its store than it would have on Steam, a major bonus no doubt. This might still not be enough consolation for Steam fans, though, but there’s no denying that Metro Exodus is still one of the most eagerly anticipated games of this year (or any year for that matter) and is still likely to sell very well regardless on which online storefront the PC version launches later this month.